Accepting my offer to attend James Madison University for my undergraduate degree was the best decision I have made thus far in my life. The campus is BEAUTIFUL- it is rumored that JMU spends just under the amount that Disney World spends on their aesthetic charm, the flowers, trees, well-kept grass, and bluestone walkways. It is actually hard to walk around campus without smiling at the sheer beauty of where you are. The food is DELICIOUS- it has been ranked 2nd, 3rd, 4th, and 5th best food in the nation by Princeton Review. All of my classes have under 20 people in them; we get real face-to-face instruction from the brilliant professors employed here. Dorm life was unforgettable, and the freshman orientation week was a great kick off to my college career. Even though Harrisonburg isn't known for its booming city-life, I will still cherish all of the memories i have made here. 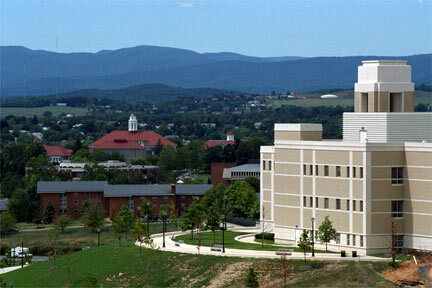 If you are considering deciding James Madison University as your future home, stop by and come see for yourself. You won't regret it.